I love reflections, the topic of the current WP Weekly Photo Challenge. 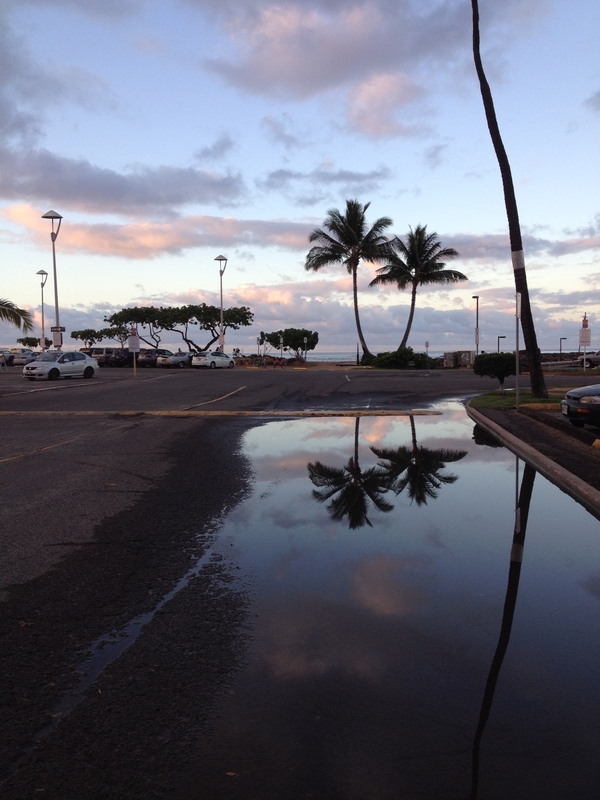 I especially love the otherworldly reflections of puddles. On the edges of a puddle I can see the reflected image continuing – into a separate world, just beyond the edge of the puddle. I should be able to take a step and enter. But I haven’t taken the right step yet – and even the dog can tell me that when you step in a puddle, what happens next is wet paws, not entry to a new dimension. Dawn in Waikiki, Honolulu, March 2014. 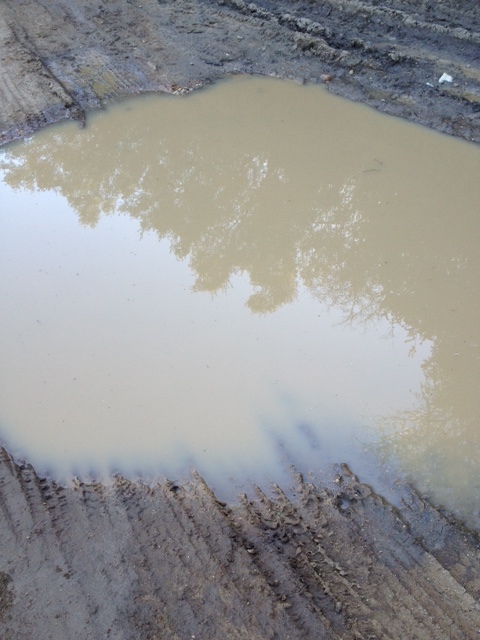 Muddy puddle in La Tuna Canyon, southern California, 2013. 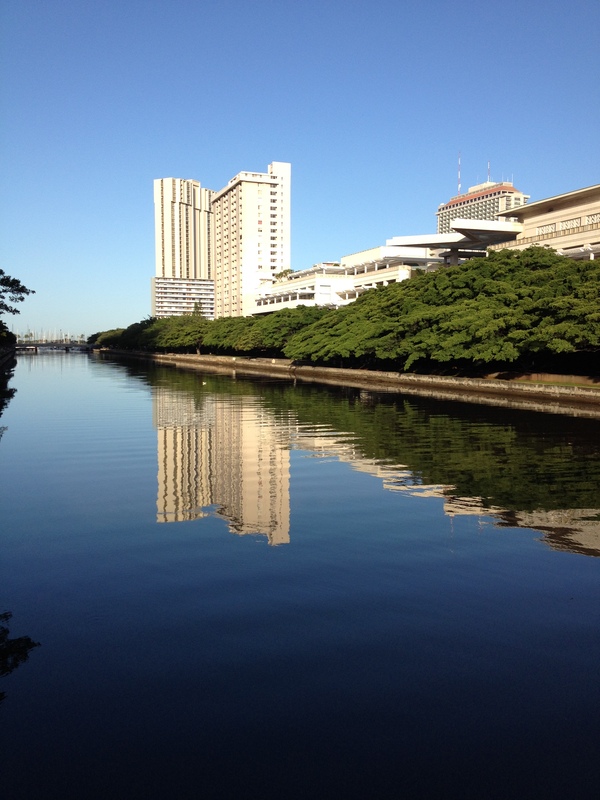 Speaking of Hawaii, here are some other reflections I caught during my visit to Honolulu. 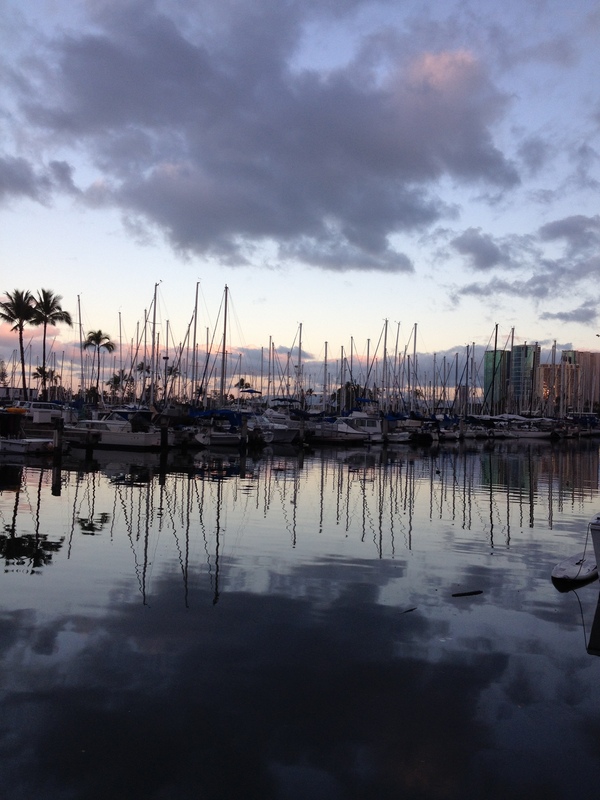 New day at the harbor, Honolulu. P.S. Thinking about reflected worlds was one of the inspirations for my upcoming fantasy detective series. There, the other worlds are called Frames, and I’m happy to say the first book in the FRAMES series is in final editing. Another coming soon (but not as soon as the travelog post). P.P.S. I’ve got numerous photos of reflections in other posts. For example, in these posts about an optical illusion, a search for a deadly predator, and a spectacular view at the end of a hike. I will let you figure out which is which: here, here, and here. Reflections: Weekly Photo Challenge | ALIEN AURA'S BlOG: IT'LL BLOW YOUR MIND! Weekly Photo Challenge: Reflections | What's (in) the picture?